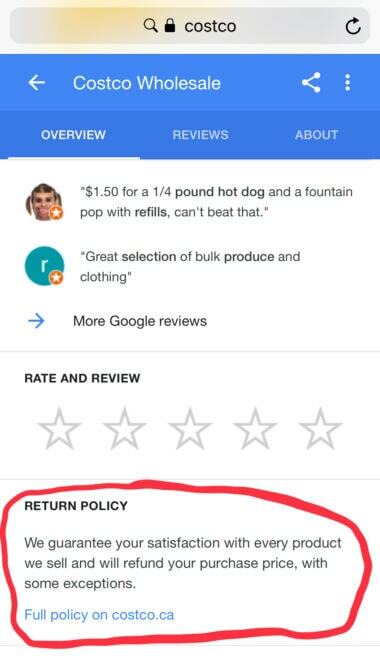 Google has started showing store return policies within Google My Business listings in local search results. This was first spotted by Sergey Alakov, who posted about it on Twitter. When conducting some of my own searches I was able to replicate this exact feature. From my experience, return policies showed up for some stores but not for others. It also appears that this content is not scraped from the business’s website. 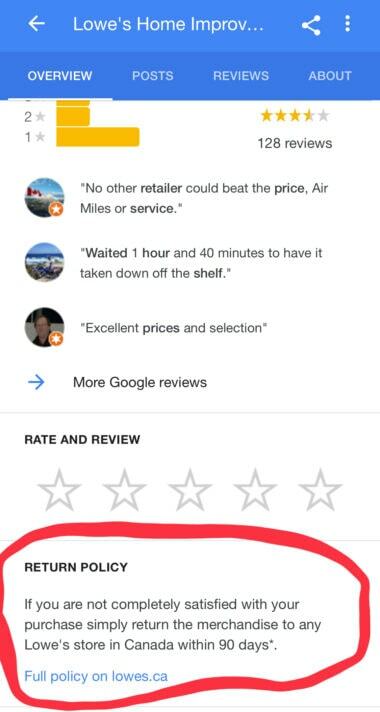 Rather, this is unique text that Google added on its own, or its a pilot program where a limited number of retailers are able to add their own copy. Whatever the case may be, it’s not a feature that’s available for all business listings at this point, regardless of whether or not a return policy is published on the business’s website. Next articleHow often are you using AR Emoji on the Galaxy S9?